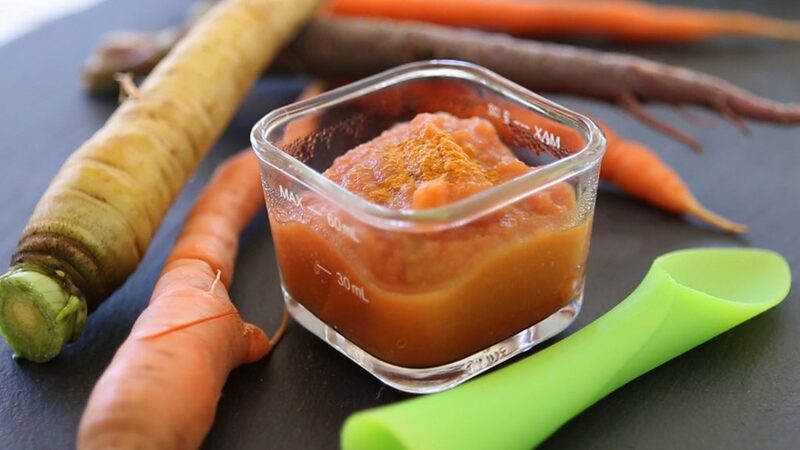 The very first purees that you prepare when introducing your baby to solids are usually 1 ingredient only to easily check for any possible allergy reaction. 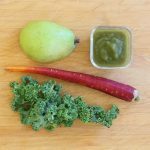 If you want to learn more about How to know if your baby is ready for solids, check this other post too. 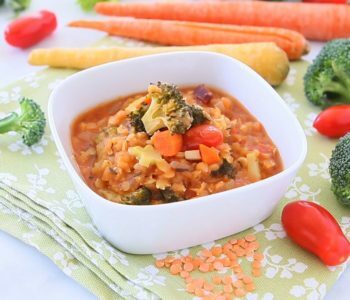 as I think they are the best ones in terms of both nutrients and flavors conserved in the food. 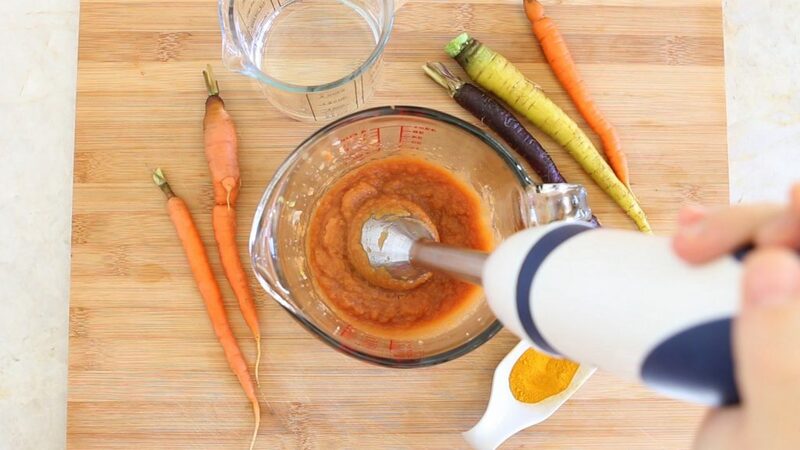 For this recipe I decided to steam the carrots, a faster method compared to oven roasting with a milder flavor result (the roasting process enhances the food flavors). 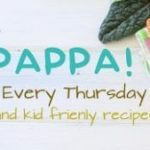 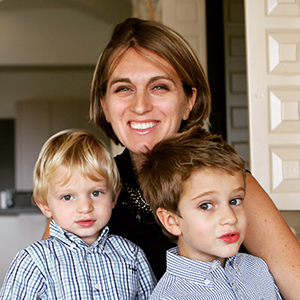 For more baby cooking methods, have a look at this post too. 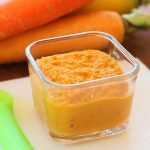 That being said, a carrot puree is a lovely way to start: delicately sweet flavor, nice color (yes, babies are attracted by the color too!!! 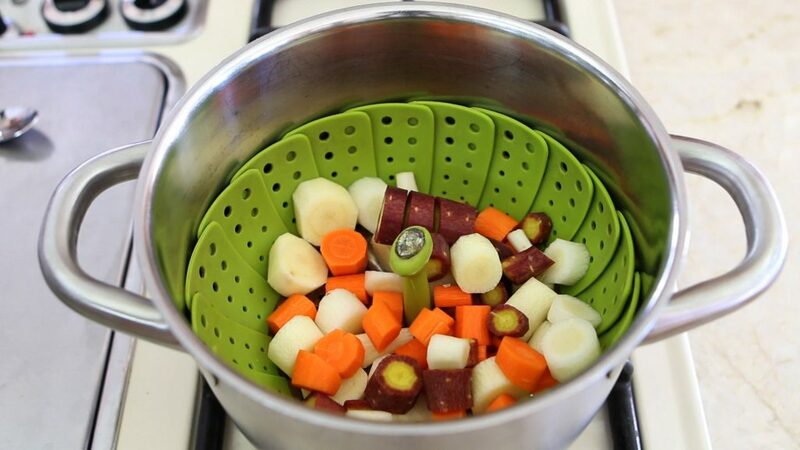 ), creamy texture when cooked, easy to digest. 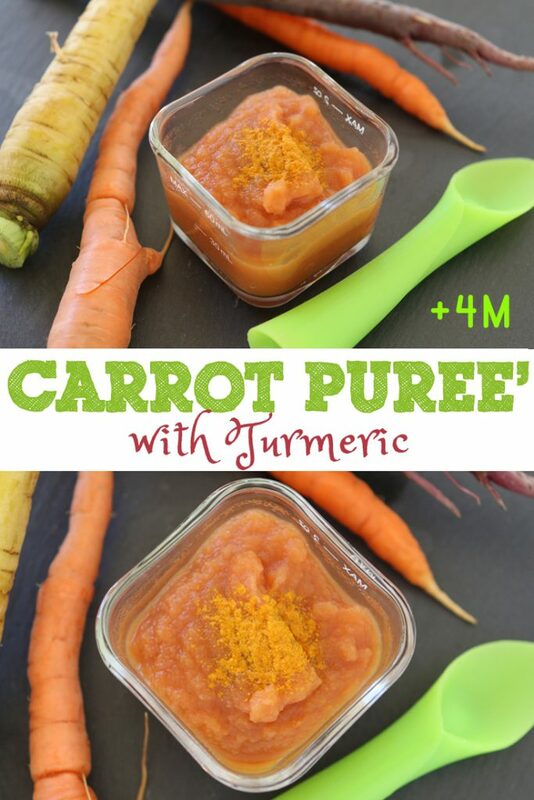 In addition to that carrots are high in Vitamin A, C and calcium. 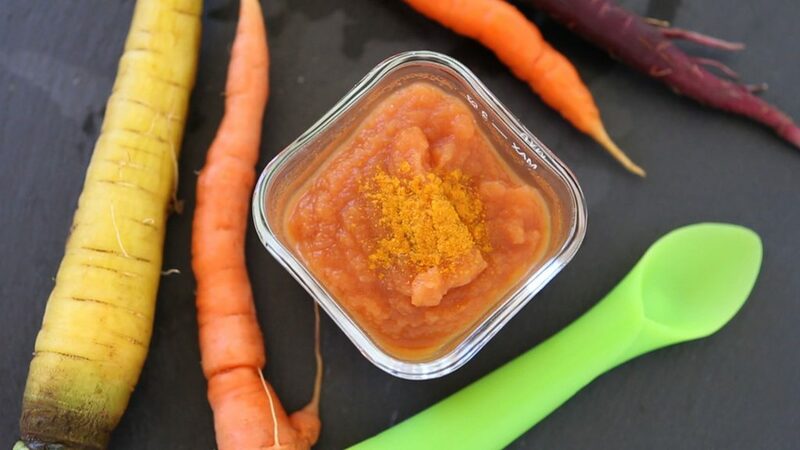 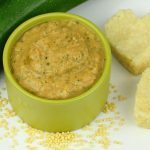 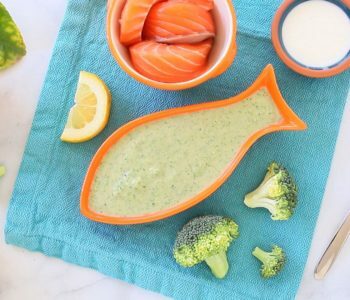 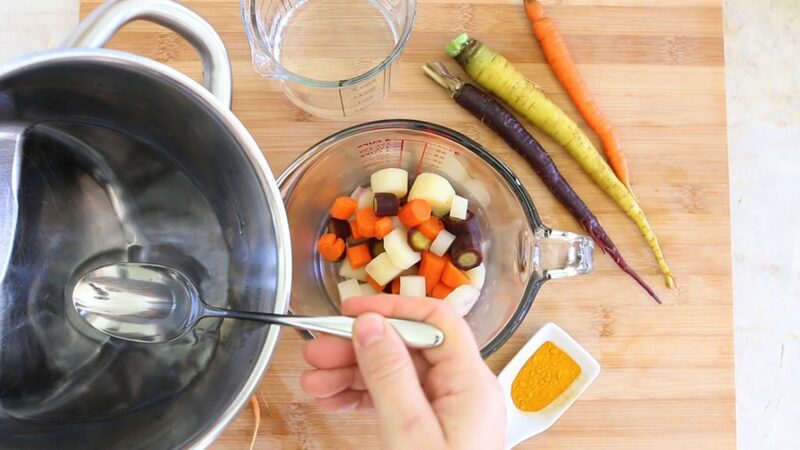 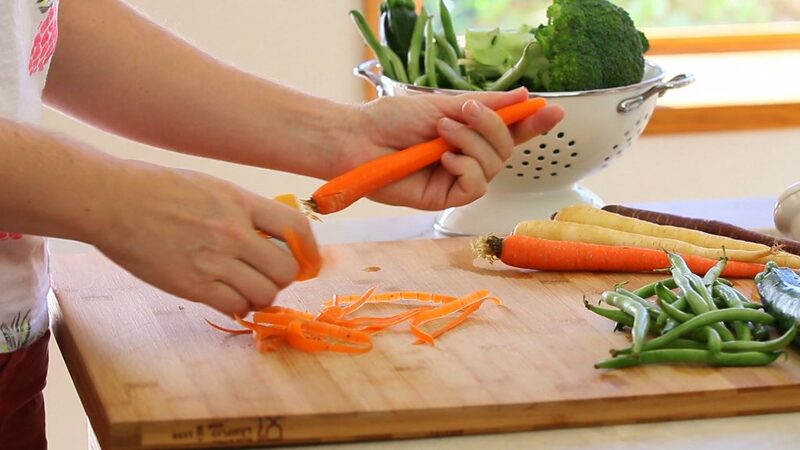 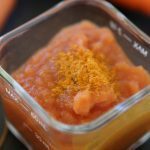 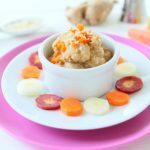 You can either decide to prepare a basic carrot puree or you can add a nice twist with a tiny pinch of Turmeric, a golden orange spice full of healthy properties and appropriate for babies too! 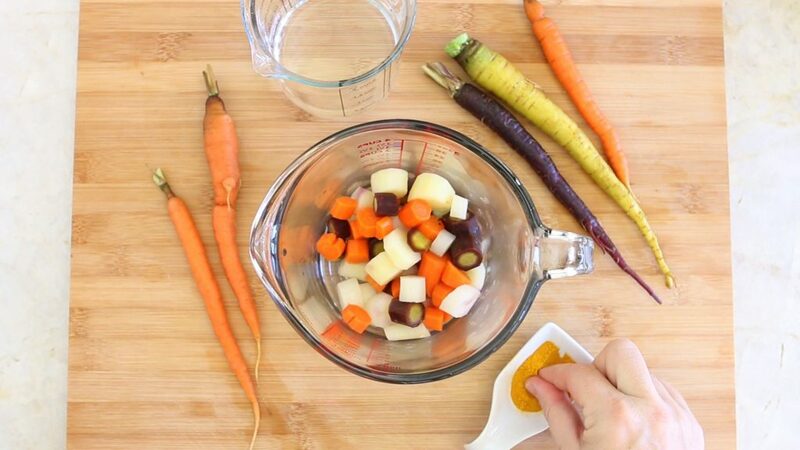 If the carrots are not organic I suggest to peel them and than chop in small pieces. 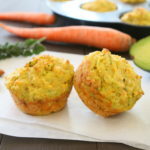 If you like, it’s optional, add a tiny pinch of Turmeric. 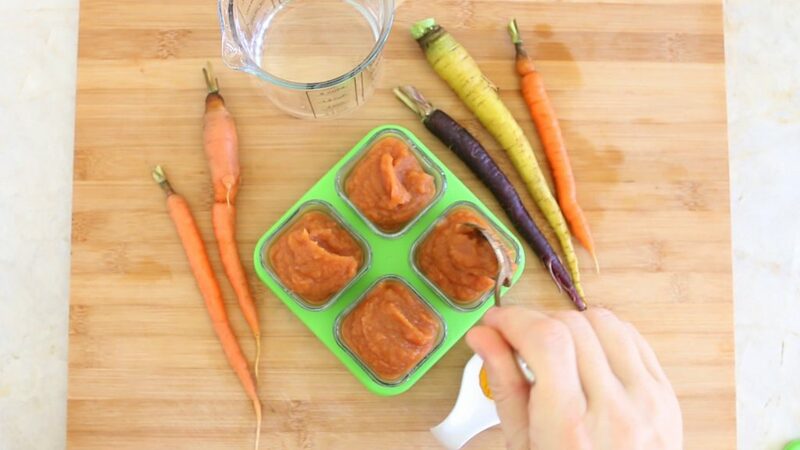 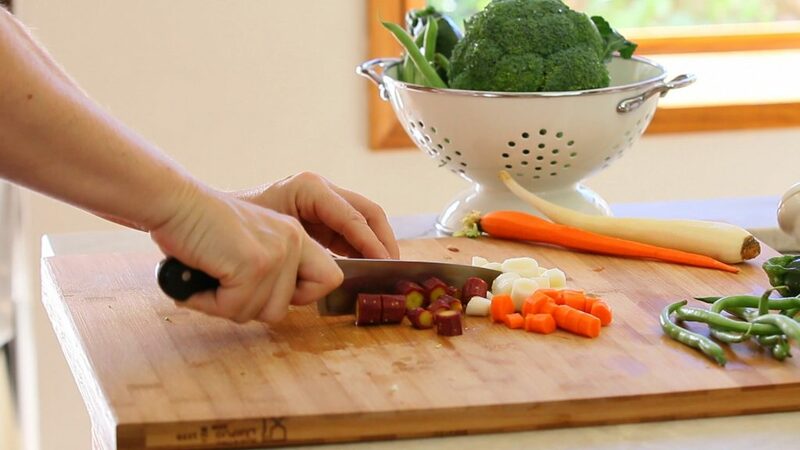 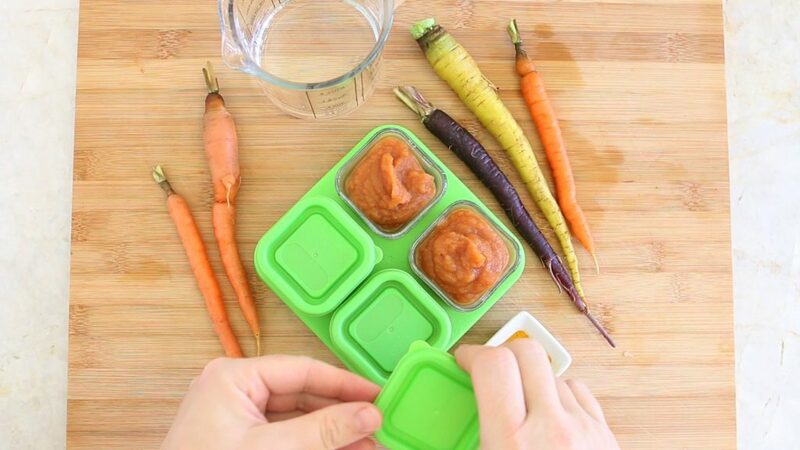 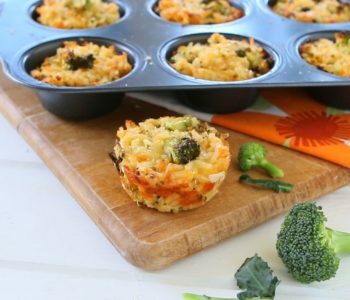 The carrot baby puree can be stored in the refrigerator for up to 3/4 days or frozen for up to 3 months. 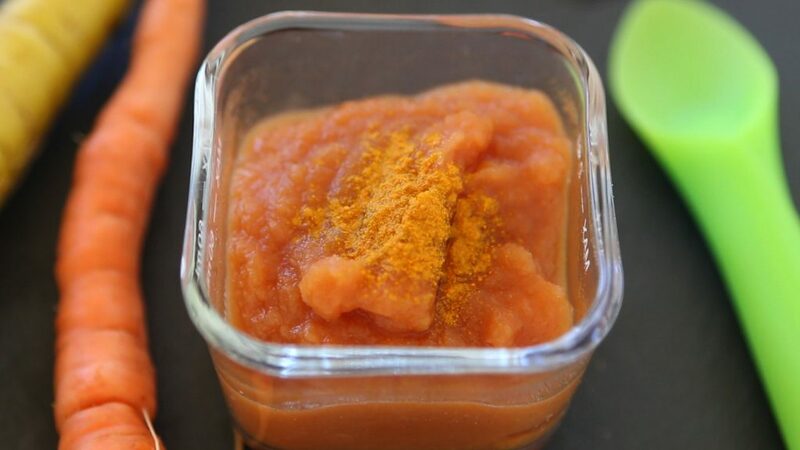 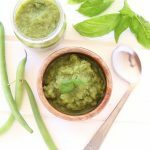 It’s a good idea for a basic baby puree at the beginning or as an ingredient for a more complete baby food later. 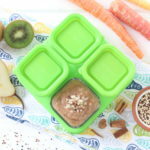 Green Sprouts Baby Food Green Glass Cubes with lid and tray 2oz.